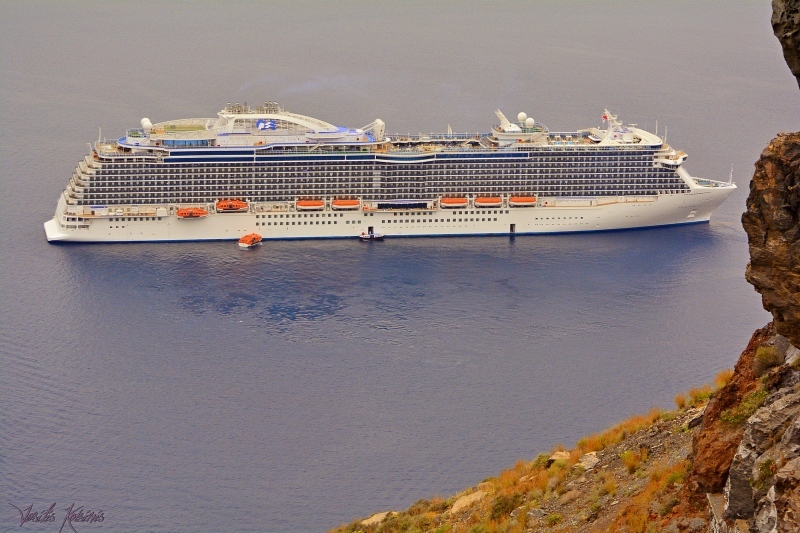 In Santorini during her maiden voyage. and are they about to plaster 'rule britannia' on this box of balconies? mrdot. This photo has been shown 779 times since it was added to the site.